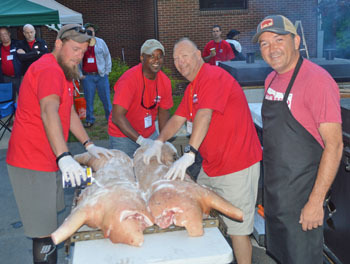 For a number of years NCBS has given full scholarships to the top culinary students at the community college with the best program nearest each of our three NCBS BBQ Boot Camps. 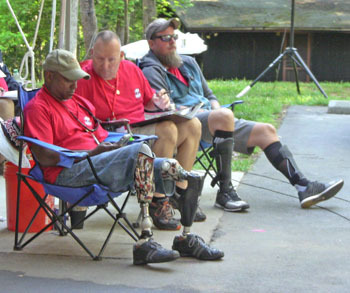 In addition to the aforementioned scholarships starting in 2013 NCBS instituted a program to provide 8 Full Scholarships to disabled Warriors to each of our three (3) NCBS BBQ Boot Camps and NCBS Certified BBQ Judge Classes plus lodging. Also, NCBS through its members, sponsors and friends in the BBQ industry will assist Warriors in getting jobs if a Warrior wishes. 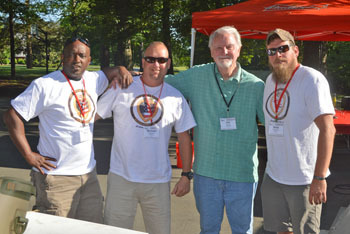 Many Warriors and their mentors have already experienced our Cooking Schools and BBQ Judge training at our BBQ Camps. The Warriors that attend our camps come away with a new skill set, a weekend to remember and a SMILE that will never fade. 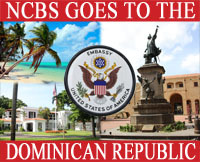 It is a privilege for NCBS to offer this experience to those who have given so much for our country. Their courage and determination to overcome a setback and traverse a rough patch is an inspiration to all of us who work beside them at our camps. We salute our Warrior brothers and sisters and welcome them to THE FUN TRIBE.